In Word Press “thesis theme” whether youself designed the header of your site or not, let it be. But what's important is: placing it right for good fit. Because when I placed the header in my site there’s a gap below the header and top of the menu.., you got the same problem? If then, how to remove unwanted white space? how to get rid off unwanted space? how to eliminate it? All for a dynamic look. 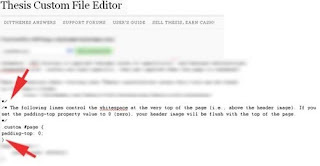 /* The following lines control the whitespace at the very top of the page (i.e., above the header image). 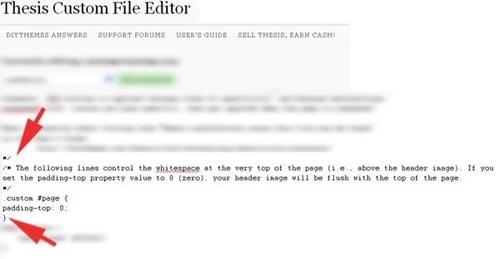 If you set the padding-top property value to 0 (zero), your header image will be flush with the top of the page. Now save changes, got to your site refresh your site.., you get rid of it now. Accordingly if you want any space to be set you can change “padding-top property value to what u needed” vice versa.